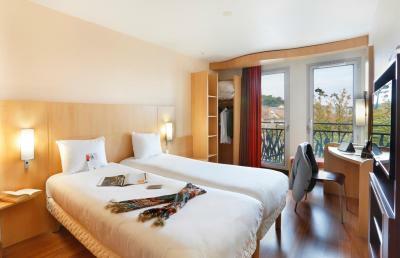 Lock in a great price for ibis Etampes – rated 8.2 by recent guests! 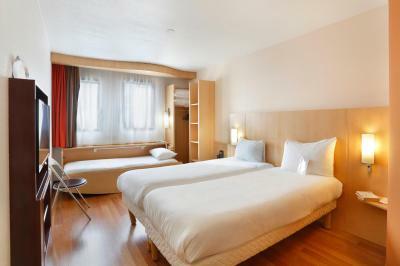 Clean spacious rooms, comfortable beds, very helpful staff. Secure parking. Staff were helpful, especially as I don't speak much French. There were a lot of us staying there, nearly 30, and the staff worked hard to look after us. 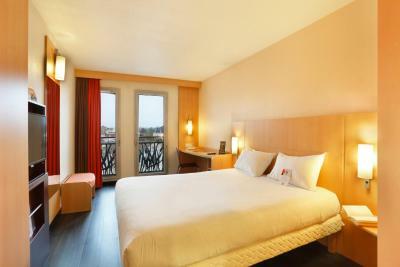 I wish all hotels came up to the Étampes Ibis standards. 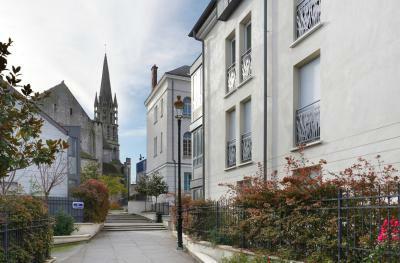 Easy to find, secure parking, pet friendly, very clean, Easy short walk to restaurants and sights. Very nice and helpful staff. Allowed us to check-in early. Secure bicycle storage. 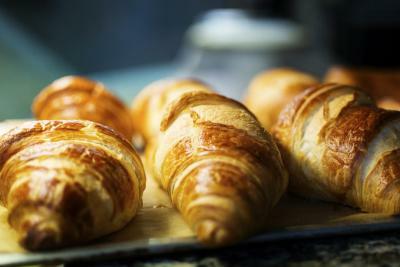 Lovely madeleines and croissants served at breakfast, friendly staff, great location in town. 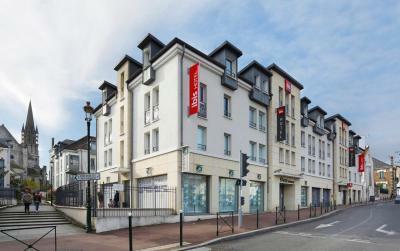 The ibis Etampes is located 5 minutes from the city center near the train station. 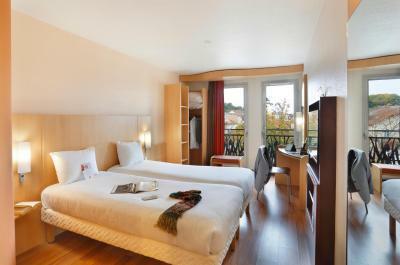 It offers air-conditioned and soundproofed rooms with free Wi-Fi internet access. 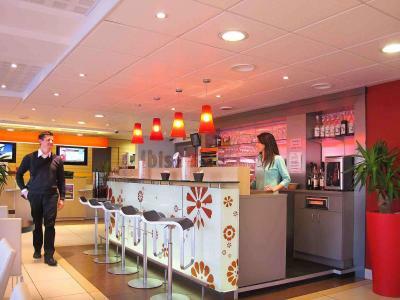 This ibis hotel is open 24 hours a day and is 100% nonsmoking. 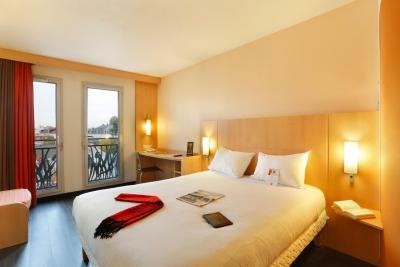 All rooms features air conditioning, soundproofing and flat-screen TV. 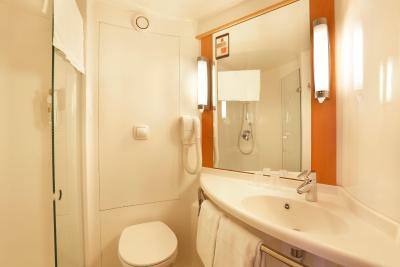 The rooms comes with a private bathroom fitted with a shower and a hairdryer. 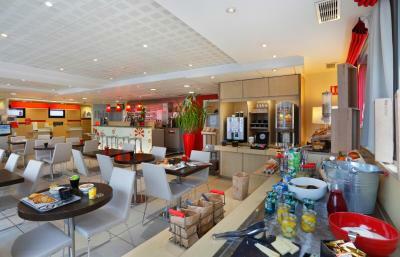 The Rendez-Vous bar serves drinks and snacks 24 hours a day. 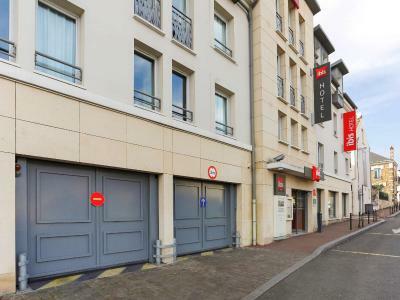 The ibis Etampes is 1,150 feet away from Etampes RER station that provides access to Orly and CDG airports, as well as the city center of Paris. 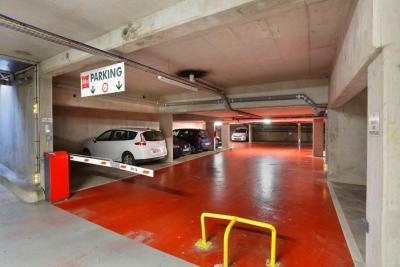 Private parking is possible at an extra charge, public parking is also available near the hotel. 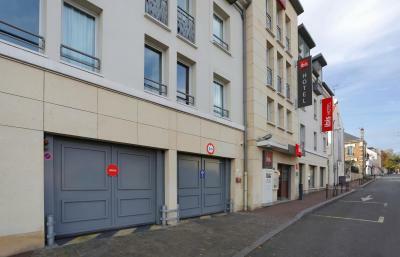 This property is also rated for the best value in Étampes! Guests are getting more for their money when compared to other properties in this city. 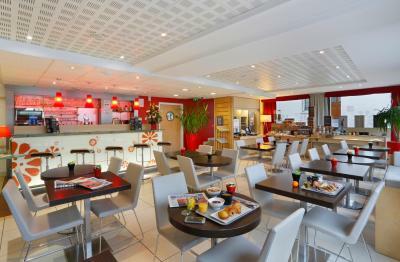 When would you like to stay at ibis Etampes? 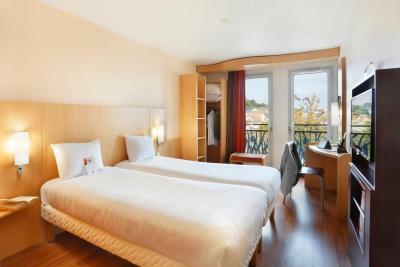 This double room features air conditioning, soundproofing and flat-screen TV. 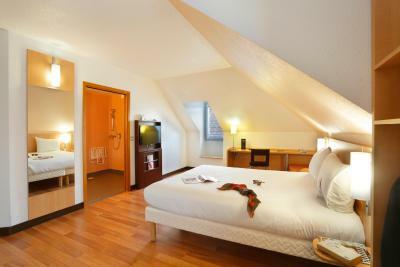 The rooms comes with a private bathroom fitted with a shower and a hairdryer. 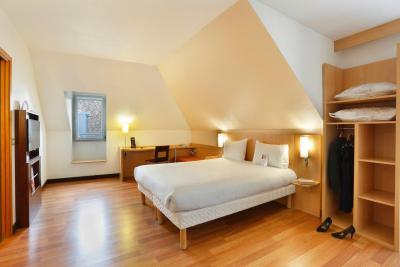 This twin room features air conditioning, soundproofing and flat-screen TV. 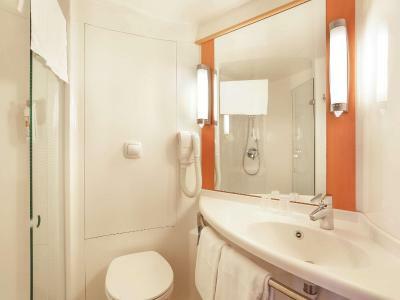 The rooms comes with a private bathroom fitted with a shower and a hairdryer. House Rules ibis Etampes takes special requests – add in the next step! 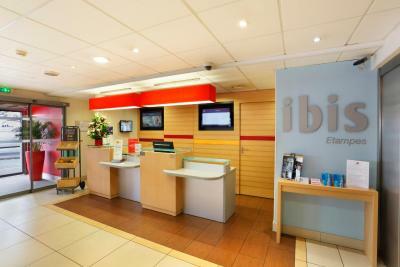 ibis Etampes accepts these cards and reserves the right to temporarily hold an amount prior to arrival. It would be nice to have some local information to hand, telling you where local shops and restaurants are, in English would be very nice. Perfect for an overnight stop. 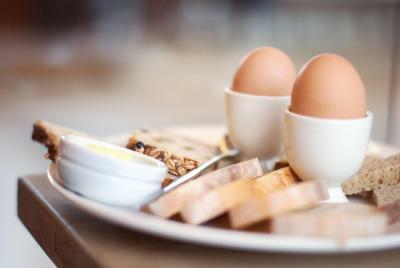 Clean, friendly staff, good breakfast. Everything was very good and we cannot think of anything which would improve it. 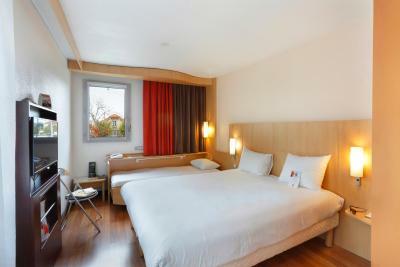 Good location - we had a very quiet room which was extremely clean and the shower cubicle was very spacious. The bed was comfortable with well pressed linen. 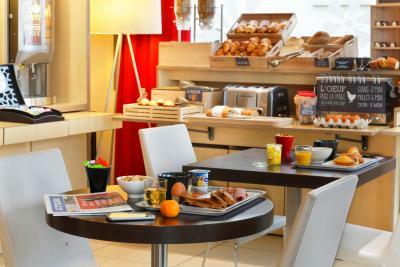 The breakfast was copious with a great variety to choose from. Despite facing a busy road you could hardly hear any traffic from the breakfast room so obviously they had very good double or triple glazing. 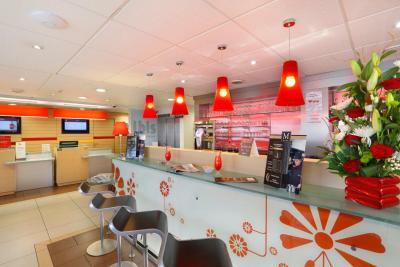 All the staff were very nice, polite and helpful. Cleaning in bathroom could be better.the areas a little out of sight such as the seams joining the walls and floor should be done with a brush and bleach once a month. Bed was super comfy. Great mattress.